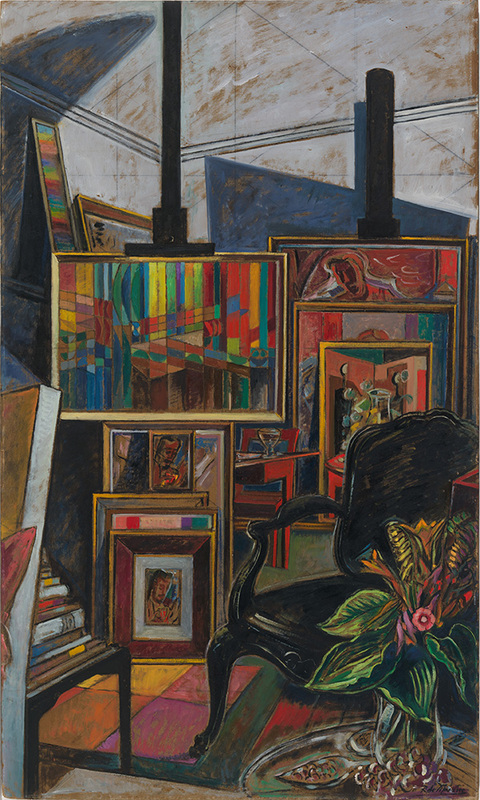 'Studio Interior' by Roy de Maistre, 1959. Oil on pulp board, acquired with the support of Denis Savil and Anne Clark and the Masterpieces of the Nation Fund 2017, National Gallery of Australia, Canberra © Caroline de Mestre Walker (2018). Portraits of artists and their studios, drawn entirely from the National Gallery of Australia’s own collection.